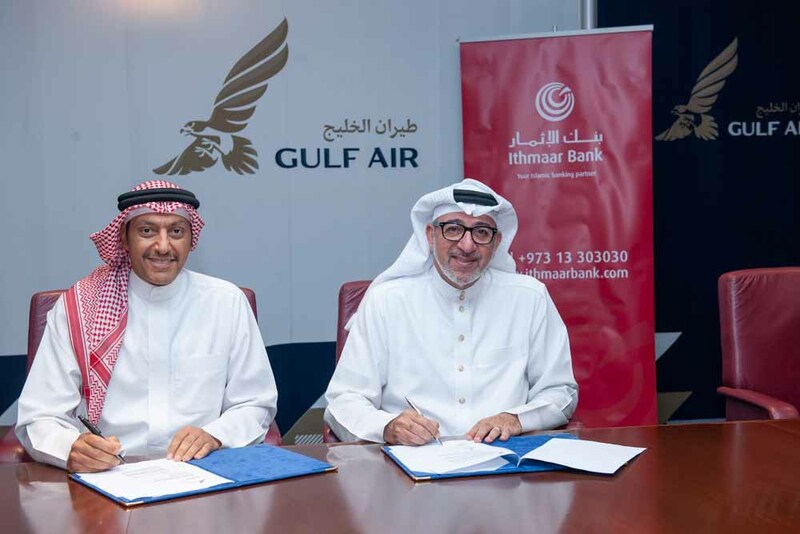 Ithmaar Bank, a Bahrain-based Islamic retail bank, has renewed an agreement with the Kingdom’s national carrier, Gulf Air, granting the Bank’s credit card and debit cardholders exclusive discounts on flights purchased on the official Gulf Air website, gulfair.com until 31 March 2019. The offer is applicable to all Gulf Air’s online fares for both Falcon Gold (business class) and economy class tickets. A discount code will be distributed to all Ithmaar Bank cardholders. “In line with our customer-centric approach, we aim to give our customers the greatest value possible,” said Ithmaar Bank Deputy Chief Executive Officer, Banking Group, Abdul Hakeem Al Mutawa. “Card holders today expect a range of value added benefits to come along with their cards. This is our way of providing them with preferential rates on Gulf Air’s entire network, which is being enhanced to include new routes to places such as Baku, Azerbaijan, Alexandria and Sharm El Sheikh, Egypt and Casablanca, Morocco, and more frequent flights to popular neighbouring destinations across the GCC and MENA region,” he said. “We are pleased to be continuing this activity with one of the Kingdom’s premier banking institutions for the third consecutive year, giving their customers the chance to experience Gulf Air’s hallmark Arabian hospitality and award-winning services at exclusive rates,” said Gulf Air Deputy Chief Executive Officer Captain Waleed Abdulhameed Al Alawi. “Gulf Air is in the process of upgrading its services across its network. The addition of new Boeing 787-9 Dreamliner aircraft to our fleet will transform the passenger experience even more, offering the quietest and most comfortable long haul flights available. This, in turn, translates to a better offering, with better value, for Ithmaar Bank customers,” he concluded. Ithmaar Bank customers earn points with every purchase using credit cards and eCards. Points can be redeemed online with the easy-to-use Ithmaar Rewards portal, which offers a choice of 700 airlines, 150,000 hotels, car rental services, cash back or the opportunity to donate directly to the Royal Charity Organisation. World and Platinum credit card holders also enjoy free of charge access to more than 900 key airport lounges in more than 415 cities in over 135 countries worldwide.